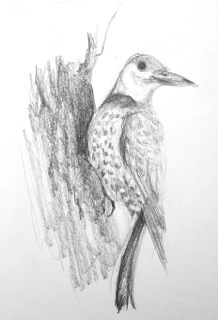 Join local artist Heather Rinehart in this artists' workshop that takes a closer look at our feathered friends. 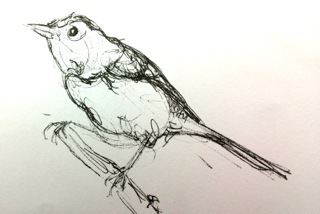 Participants will discover the secrets of bird anatomy while learning tips and techniques to make their drawings come alive. Materials will be provided. Maryland native and acrylic artist Heather Rinehart creates art that reflects a lifelong interest in nature and a passion for story telling. She studied at the Art Institute of Philadelphia, gaining a strong foundation in illustration and design, and has worked in the industry for nearly 20 years. Her current position as an artist and educator at Bartram's Garden in Philadelphia allows her to share a passion for combining science with art. She creates pieces for a diverse array of clients, both corporate and private, and offers occasional classes and technique workshops to all ages. Rinehart enjoys scientific illustration and is inspired by such historic naturalists as Mark Catesby and William Bartram. A portion of her portfolio may be viewed at www.hdrinehart.com. Reserve your spot in this workshop below by using our secure server. Pre-registration and payment are required. This workshop is open to 25 students, ages 10+.